Says Swiss harp prodigy, Rahel Shweizer who has played at renowned events like the Lucerne Festival is in the city. She will play a ‘harp concert’ next month. 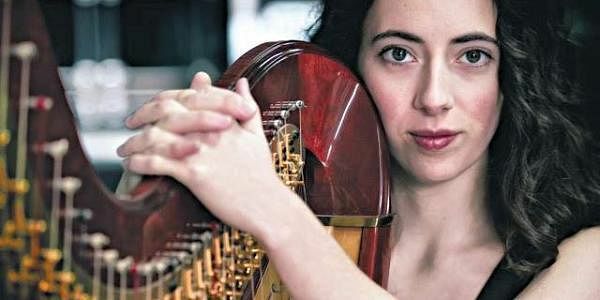 BENGALURU: Rahel Schweizer, 24, a Swiss harpist has been playing the instrument since she was seven years old and over the years she has played with some of the best musicians in the world and in some of best known music festivals. However ask her what excites her the most presently and she will tell you it’s the combination of her music with her other passion, theater, called ‘Musical Theater’. Rahel, who is presently studying at the Zurich University of Arts, is in the city for a month as part of an exchange programme with the Bangalore School of Music . “Musical theater is a new thing even in Europe. It is not a musical in the sense of say a “Phantom of The Opera”, but more of a play where musicians are actors themselves and with musical instruments as important part of the theatrical production. It is a sort of a growing trend at the moment,” she says. In a musical theater therefore the musicians themselves have very important roles to play, she adds. In Bengaluru since the past two weeks, Rahel has played in quite a few concerts in this short stint as part of the ongoing 5th East West Music & Dance Encounter 2017. At the same time she is also soaking in the local culture and places with vigour. “It’s amazing here and I found everyone very nice. On the recent trip to Nandi Hills, a family invited me for lunch. This is something that will never happen in Europe. It’s also nice to see the western classical and traditional Indian classic music go hand in hand here,” she adds.